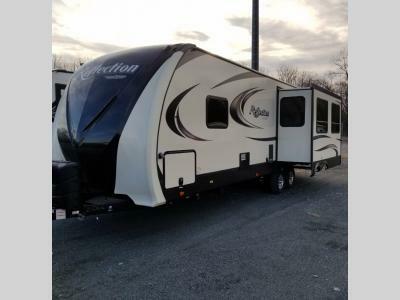 If you are a couple that enjoys traveling in luxury with your own accommodations, you will be excited each time you get this Reflection travel trailer out of storage. Just imagine cooking in a gourmet kitchen with a center island and large sink, plus watching a 40" TV with fireplace below. 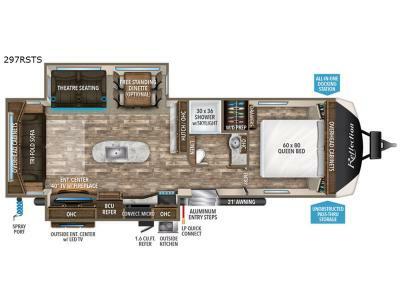 You can look out the windows and enjoy your RVing lifestyle while cooking or relaxing on all the furniture choices. You will love the master bedroom which includes a queen bed and plenty of storage. There is more storage throughout for all your traveling items, plus there is an exterior unobstructed pass-through compartment that allows you to stow away your larger items. Don't forget about the outside kitchen and TV, the real reason you chose this model! 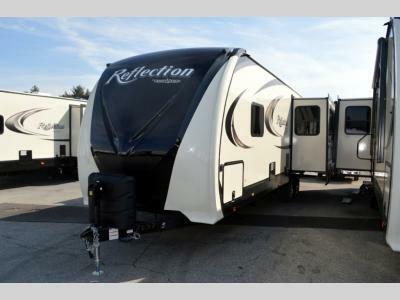 Each Reflection by Grand Design offers luxury along with providing easy towing with the aerodynamic front cap including Max Turn Radius to your favorite destinations. The Universal All-In-One docking station, LP Quick Connect, and One-Touch electric awning with LED lighting makes setting up and packing up easy for those weekenders or full-timers that like to move around. 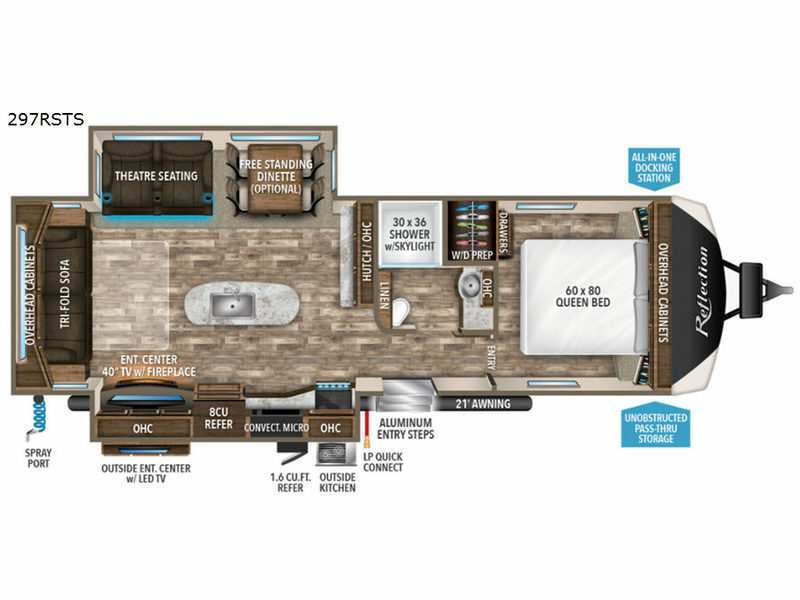 Inside, you will find the bedroom is complete with a pillowtop queen mattress, a king size wardrobe, oversized underbed storage, and much more! The Arctic 4-Seasons Protection package allows you to camp anywhere and anytime of the year. Come choose your favorite model today!